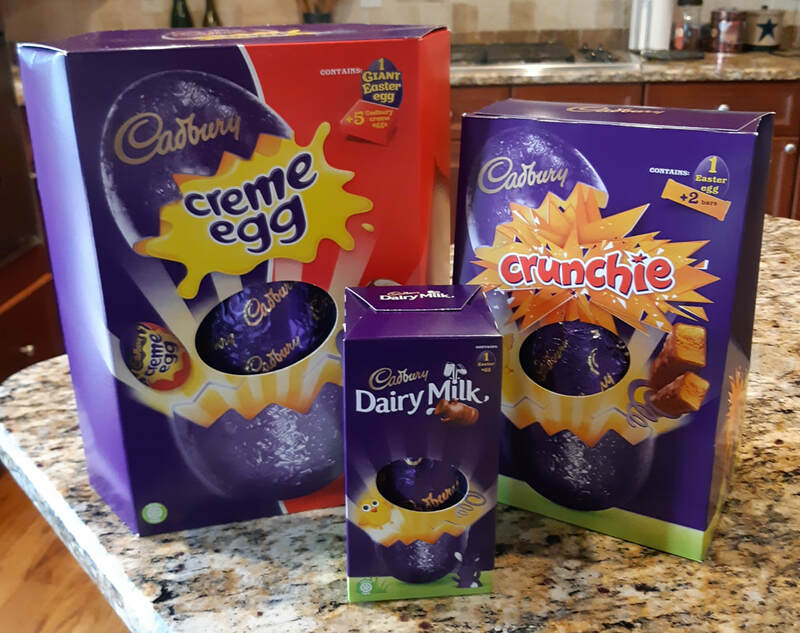 Just because we’re now living Stateside doesn’t mean we have to forego a traditional UK Easter. 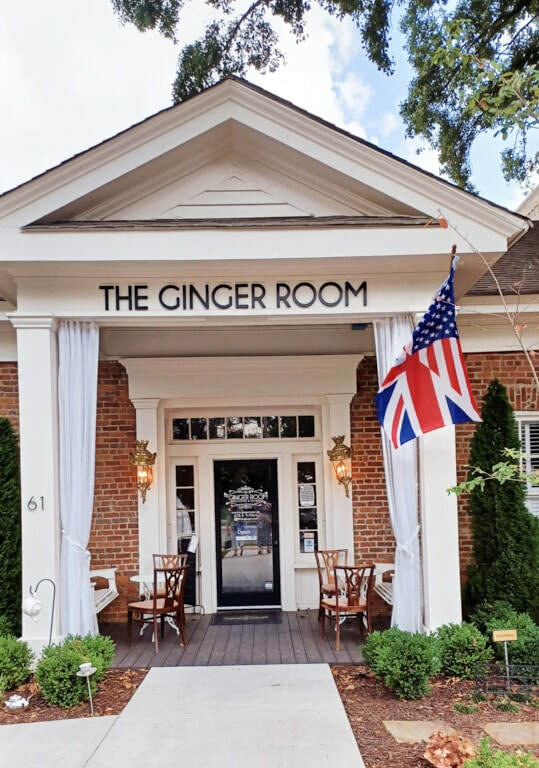 ​Yes, the American version is different (not sure what those plastic neon eggs are all about) but have no fear - British Banter In Atlanta has the lowdown on how to celebrate Easter Brit-style. 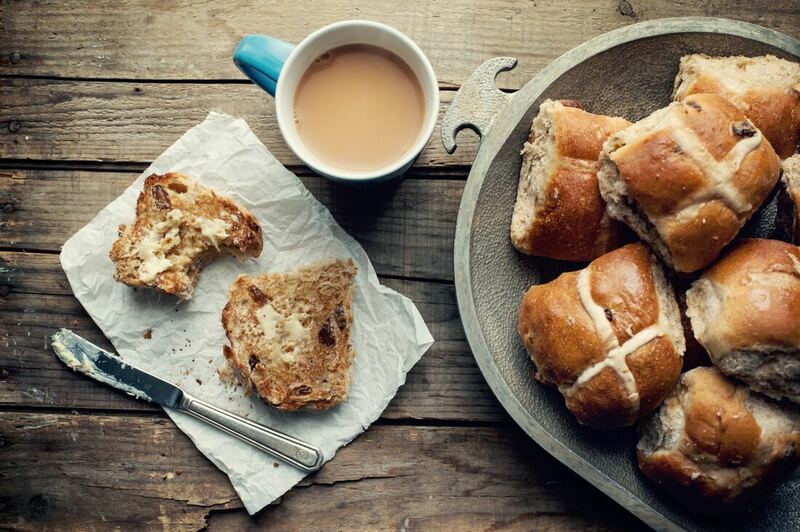 ​Easter celebrations in the UK kick-off on Good Friday with a plate of these lightly spiced teacakes, dotted with currants or raisins, and marked with a cross on the top. They taste even nicer when toasted, spread with melting butter, and accompanied by a cup of tea, of course. Easter Sunday lunch: delicious, juicy roast lamb with lashings of mint sauce, roast or new potatoes and vegetables. Lamb is strangely rare (as in hard-to-find, not how it’s cooked) and pretty pricey here in the Deep South. 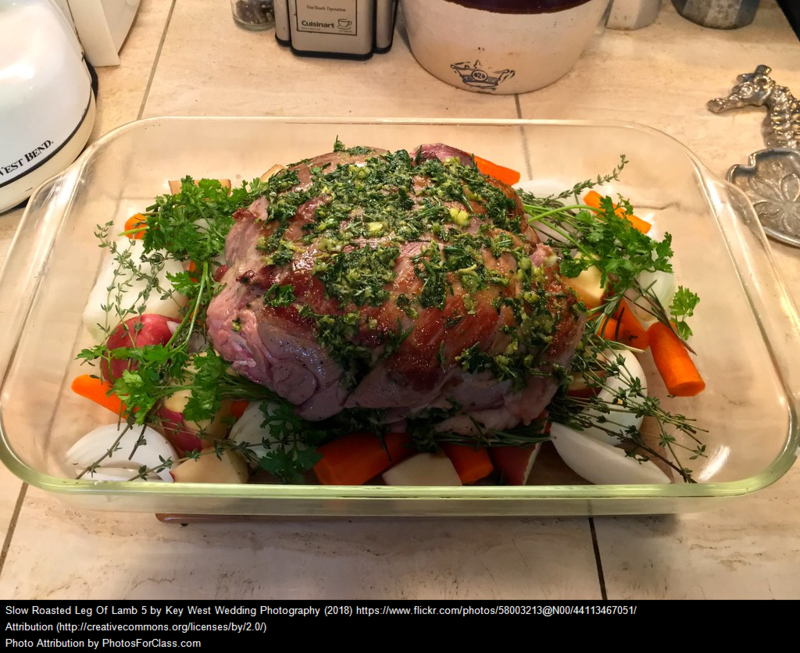 But if you’ve set your heart on a lovely leg of lamb, we found Costco has the best selection as well as the best prices. 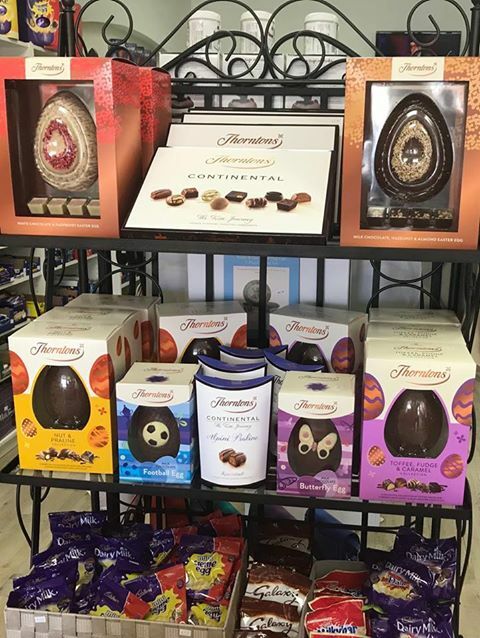 Easter eggs: various sized, from mini to giant hollow chocolate eggs wrapped in shiny paper and traditionally filled with chocolate treats (although nowadays the treats have hatched and are on the loose somewhere inside the box). 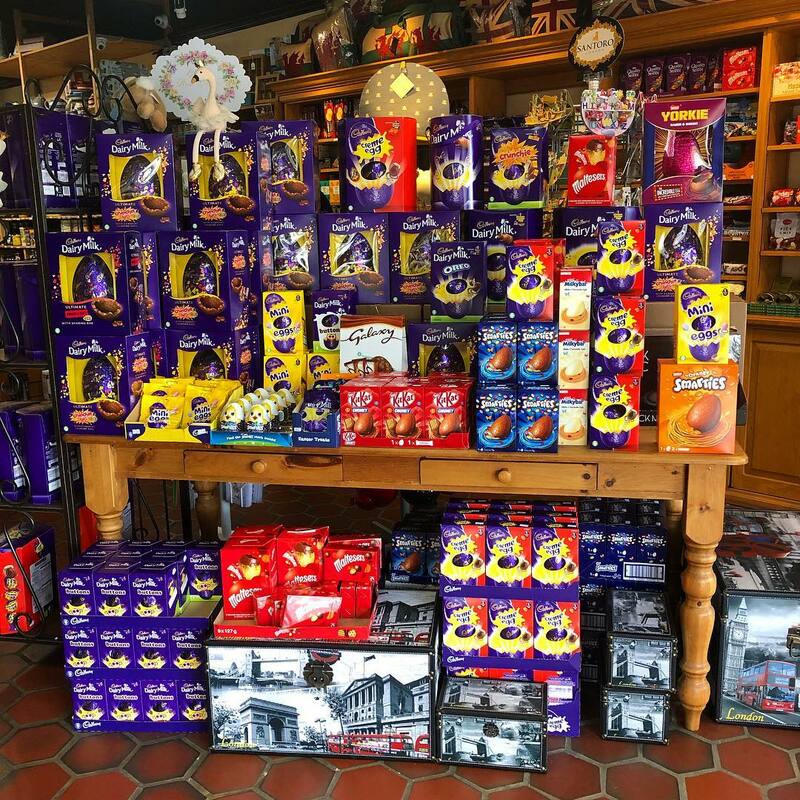 All your Cadbury’s favourites, such as Crunchie, Wispa, Buttons etc. are available in chocolate egg-form at this time of year only. 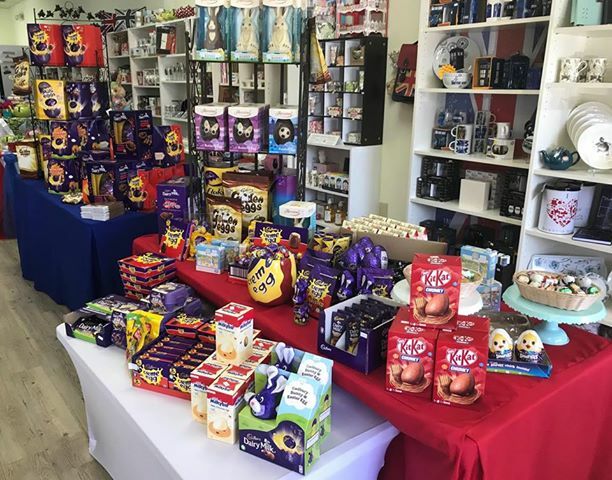 ​So, if you are Easter hunting for any or all of the above, just spring across to one of the Brit shops in Atlanta. We hopped over to all three to see what the Easter bunny has in store. 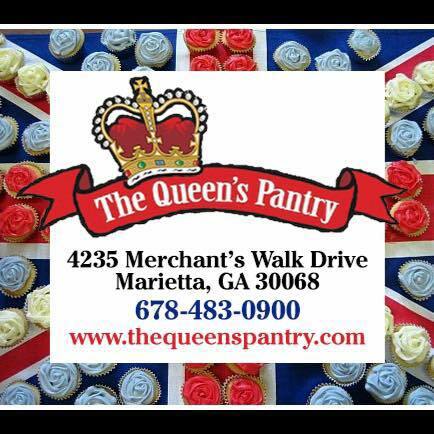 The first local Brit shop, serving Atlanta for the past 30 years. Hop to Marietta Square for more Easter treats. 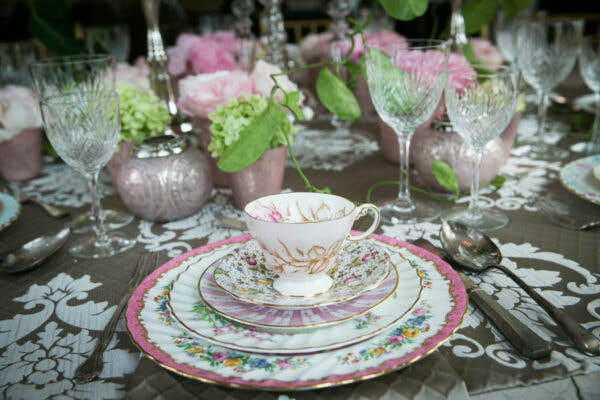 And to add the finishing touches to your British Easter table, visit Atlanta’s own Vintage English Teacup store. 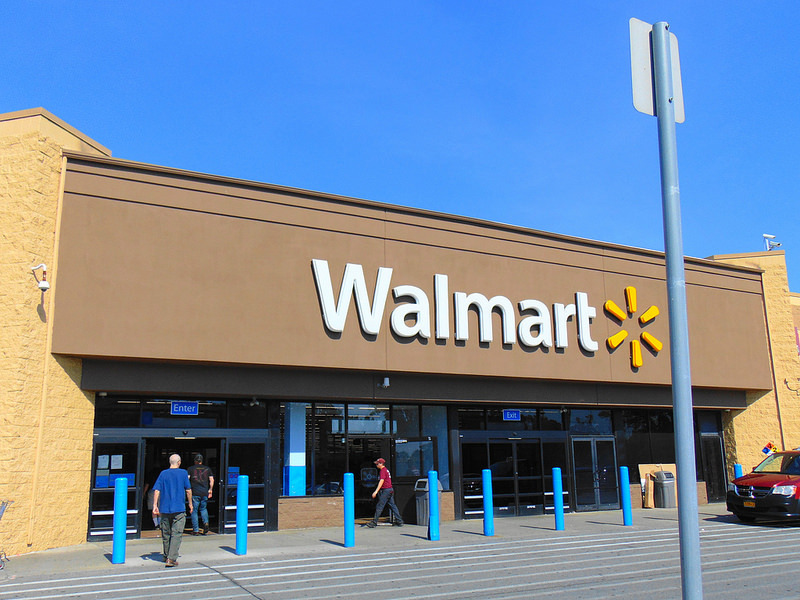 When it comes to shopping, I’ve never been a supermarket snob and will happily admit to loving all-things-Walmart. 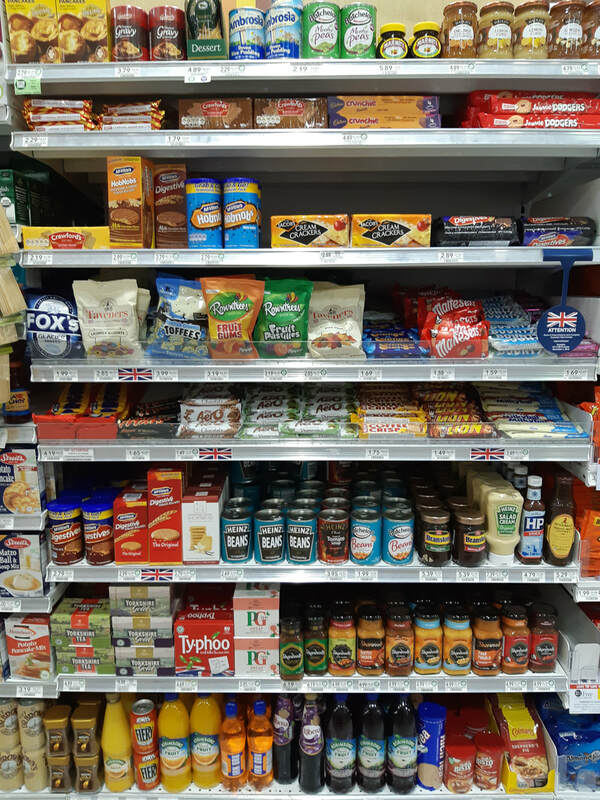 So I was intrigued to hear that the American retail giant recently started selling a small selection of British food at one megastore in Metro Atlanta. 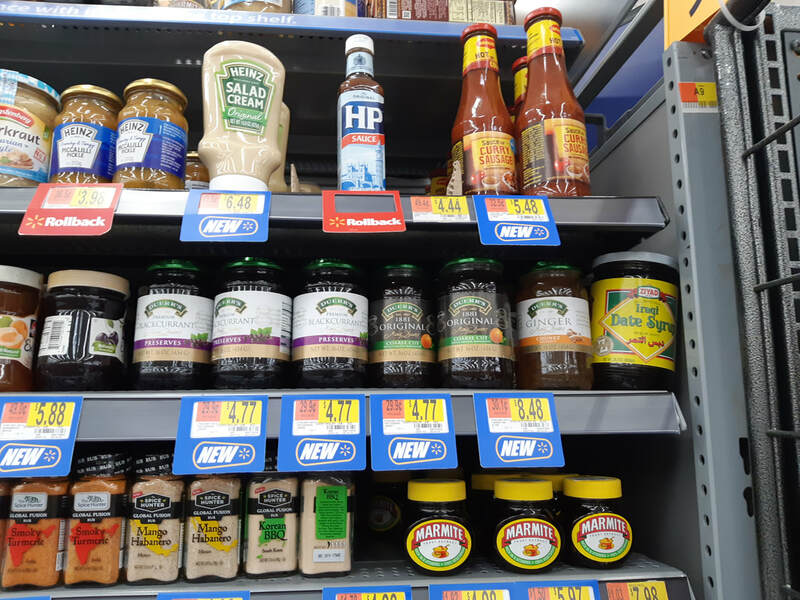 Following a tip-off from the “British Ladies in North Atlanta” Facebook page, I headed straight to Alpharetta’s Windward Walmart on Highway 9 to investigate. 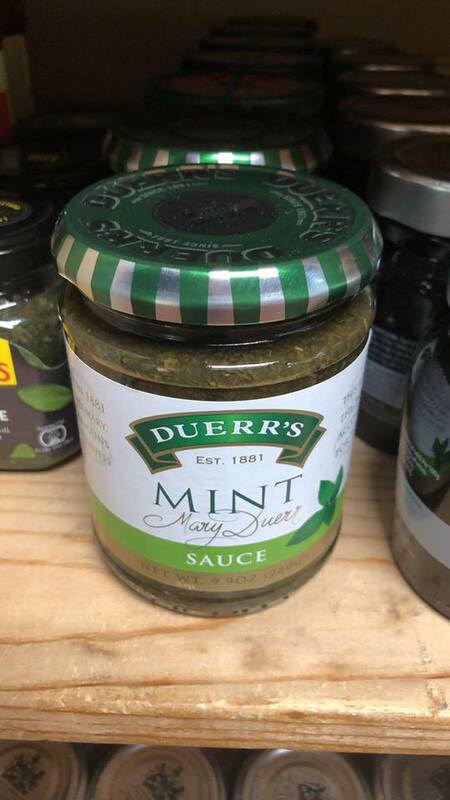 There, nestled next to the Mexican and Asian food sections, I discovered about five shelves of rather random grocery goodies from the UK including jars of Marmite, HP Sauce, wine gums, Heinz Salad Cream, custard powder and After Eight mint chocs. Admittedly, the arrangement was a bit disorganized (higgledy-piggledy may be a more apt description) but I was excited to find a few familiar treats from across the pond at almost-reasonable prices. The range is certainly not as extensive as some Florida Walmarts offer, but this is a welcome new addition in the Atlanta area. Chatting with the assistant manager, I learned that the Alpharetta store was chosen for its diverse demographics, with this new grocery line strategically placed to tempt local shoppers ... but it’s only a trial. She could not tell me if there are any plans to expand the range or roll it out in other nearby stores. It all depends on the response, demand and success (aka sales figures) of this pilot test, apparently. 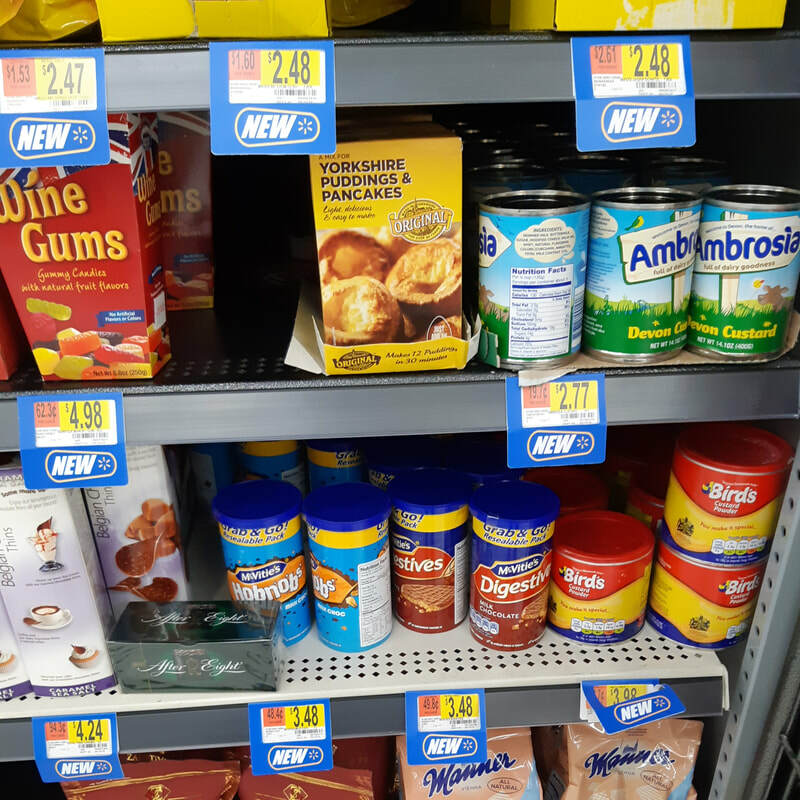 And so, fellow Brits in Atlanta, the moral of this story is: if you want to stock up on chocolate Hobnobs, Yorkshire pudding and piccalilli at your favorite “big box” store, let Walmart corporate headquarters know asap. 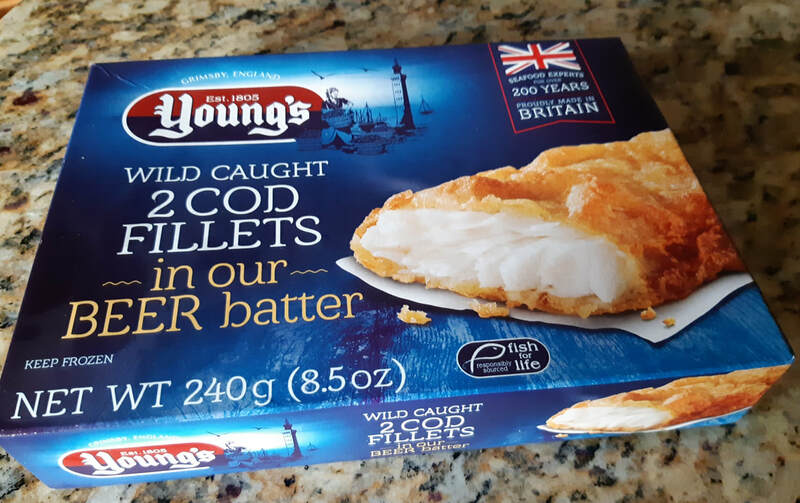 And if all else fails, just stop by the freezer section and grab a box of Young’s British beer-battered cod instead. 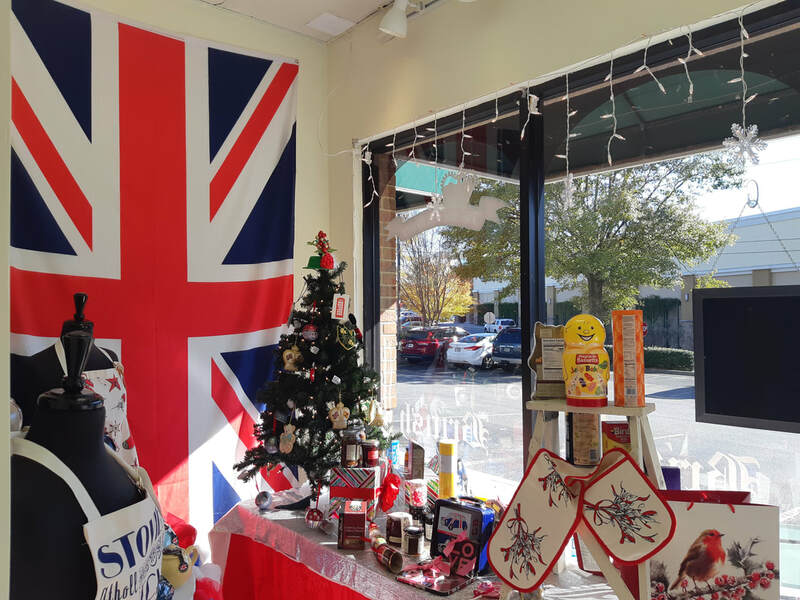 A visit to The Queen’s Pantry in East Cobb guarantees a few things: union jack abundance (flags, teapots, aprons, cushions, scarves, oven gloves etc. ), enough Cadbury’s tasty treats to thwart even the worst bout of homesickness, and a good old chinwag with a fair bit of British banter. If you’re lucky, the kettle will be on and a packet of biccies already open to make you feel totally at home. ​Hubby and I have become regular customers since the north Atlanta store opened in 2012. 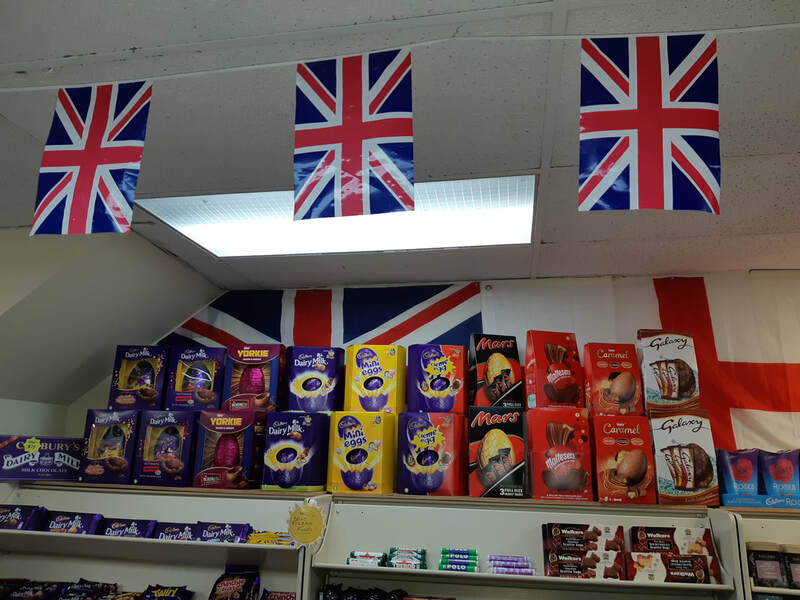 We often pop in to stock up on our favourite foods from Blighty, and for a natter with Sam, the owner. Originally from Leamington Spa, Sam moved across the pond 17 years ago. She was inspired to open the shop close to her Marietta home by the large numbers of expats in the local area. “Whenever I returned from trips to the UK, I was bringing back suitcases full of stuff for other people,” she explains. “I was getting so many requests that I realised there was definitely a market for this kind of retail business here”. Sam’s since ditched the suitcases and she now imports goods via a specialist company in Florida, receiving several shipments a week. New Zealand delicacies fly off the shelves faster than Sam can keep them stocked. She tells me that a surprisingly large number of South Africans drop in too; hence the spicy Durban curries, cans of guaves and rooibos tea for sale. 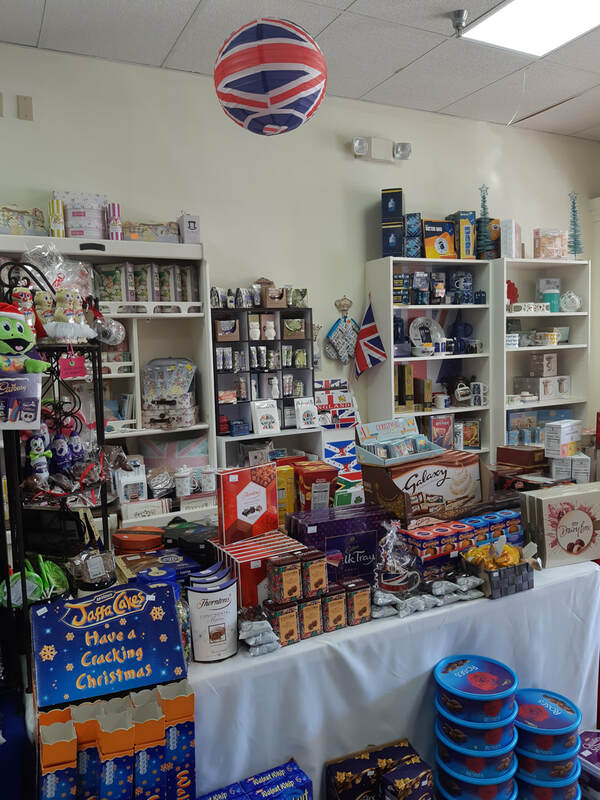 Whether you’re an expat or an Anglophile, alongside all the edible goodies you’ll find numerous nicknacks and trinkets, ranging from official Doctor Who collectables, football mascots and Downton gifts to mugs adorned with Shakespearean insults. 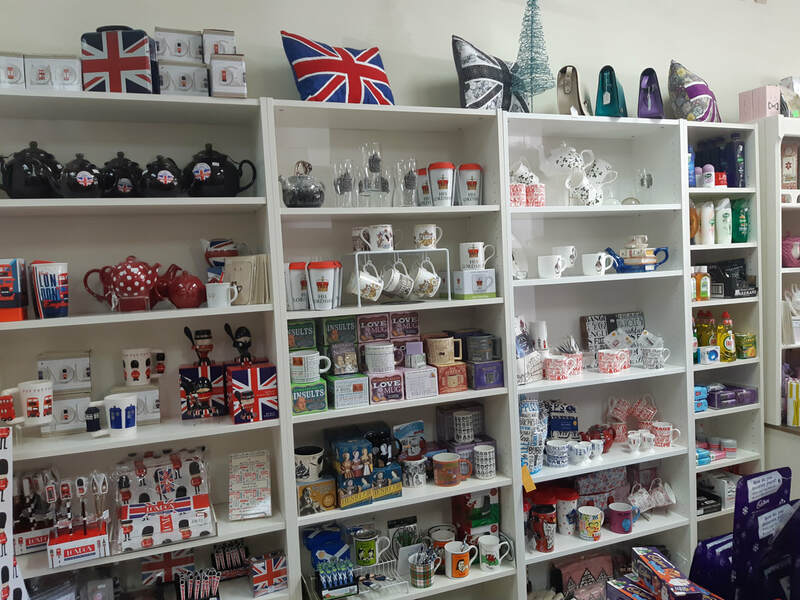 And it goes without saying that The Queen’s Pantry also stocks a wide selection of royal souvenirs and memorabilia. Naturally. 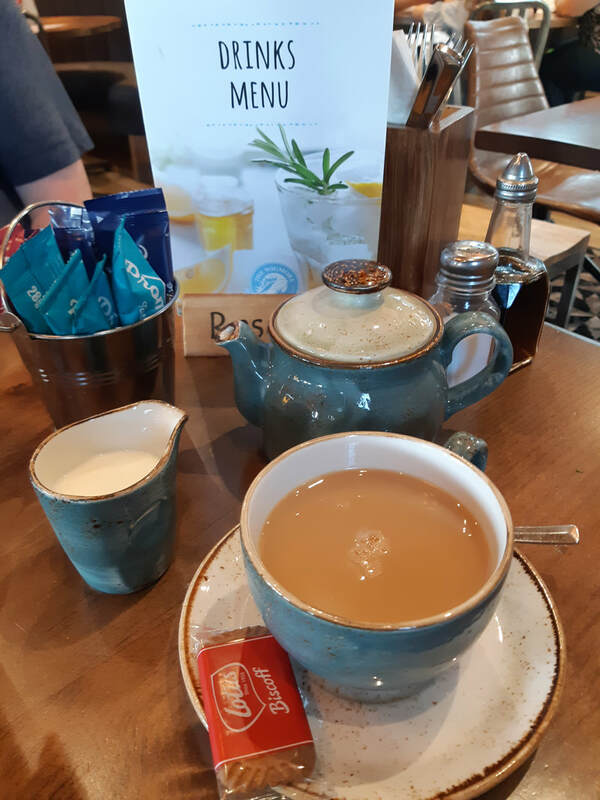 Special events have included recent royal wedding parties, and Sam has confirmed that the hugely popular Afternoon Cream Teas will begin again in January. 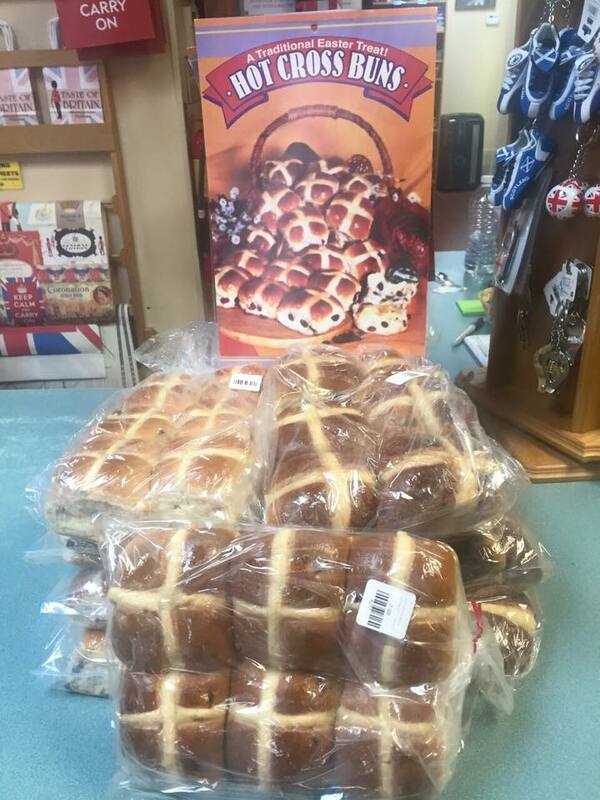 Leading up to Easter, Sam supplies freshly baked hot cross buns as well as traditional chocolate Easter eggs. 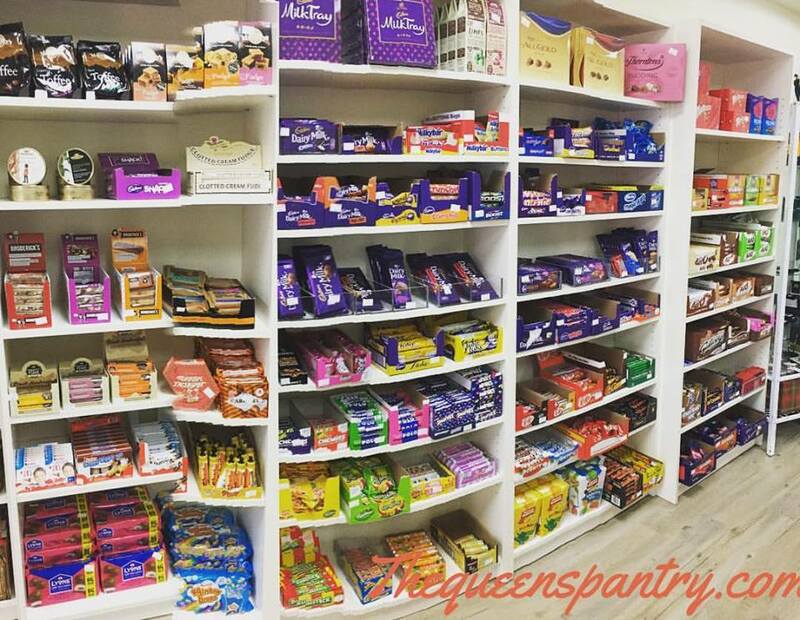 At this time of year, The Queen’s Pantry is mine and hubby’s one-stop shop for all our Christmas essentials: mince pies, Xmas pud, sausage rolls and fruity Christmas cake, as well as a few decadent indulgences (After Eight mints or a tin or two of Quality Street). Sam even sells a “little black box” which, using some mysterious technology, magically transmits British telly to America. 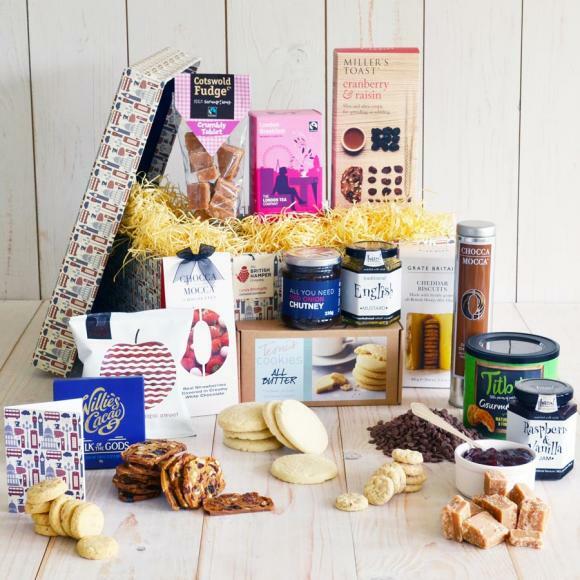 A quick peek at the website www.BritishHamper.com reveals a wide selection of traditional wicker baskets and pretty gift boxes full of luxurious and indulgent British food from independent and artisan producers. This is not the everyday stuff you’d find in Asda or Tesco back home - it’s proper posh nosh; top quality, fine food locally sourced from all around the UK. You can choose from different occasions/themes, such as birthdays or Mother’s Day and vegan or gluten-free hampers. I received the “Luxury Gourmet Gifts” selection, all presented in a beautiful big British-themed gift box. 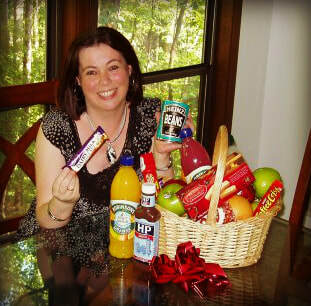 The British Hamper Company offers worldwide delivery, and my box traveled from the UK to the USA by DHL courier. I was able to use online tracking, which included updates, so I could follow its journey across the pond. On the day of delivery a signature is usually required, but I gave permission in advance for the parcel to be left on my doorstep, in case I was not home. ​All in all, delivery took about 3 days, which was pretty impressive. this side of the pond. 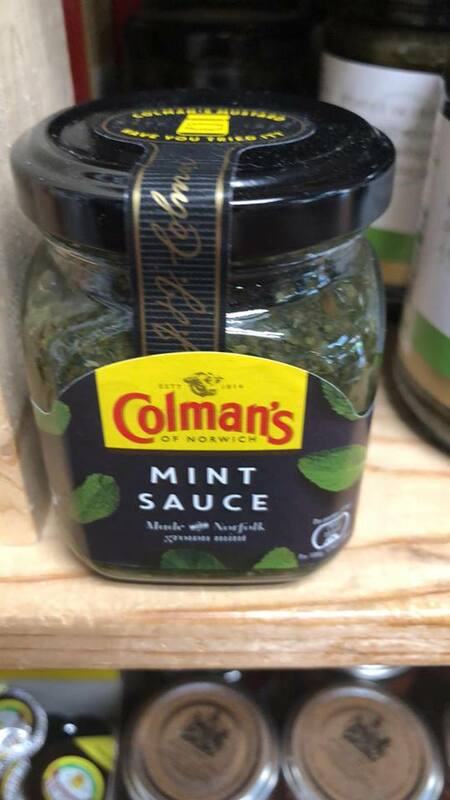 Several years ago, I was absolutely thrilled to stumble across a new addition at my local Publix grocery store - a "British Aisle" (get it?) within the ethnic foods section. It was such an unexpected treat to be able to stuff my cart (aka trolley) with genuine Heinz baked beans, Branston Pickle, salad cream and Jaffa Cakes that I rushed home and sent a thank you email to Publix head office. A couple of days later, the door bell rang. The manager of my local Publix store was standing on our doorstep with a large wicker basket full of British goodies especially for me. Apparently, he was so pleased to receive recognition from head office that he wanted to say "thank you" in return for my "thank you"!